Porsche 911 Turbo, BMW i8, Audi R8 V10 Coupe and many other sports models are affordable, great power deserves a list of products worth the eye for customers in 2018. 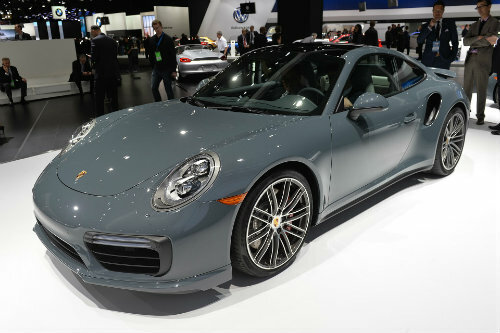 The Porsche 911 has a unique feature with a rear-mounted engine, but the Turbo version is more impressive with a powerful engine of 540 hp, equipped with a standard full-wheel drive system and a 7-speed dual-clutch gearbox. The result of the car is capable of accelerating from 0 – 100 km/h in just 2.9seconds and reaching a maximum speed of 198 miles / hour (318.65 km/h). These indicators have lifted 911 Turbo into one of the most impressive sports cars.Even with the Turbo S version, the maximum speed is up to 330 km / h thanks to the powerful engine of 580 hp. 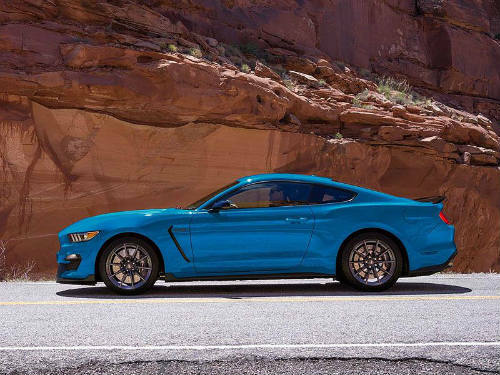 While the regular Mustang version is a pretty good model, the GT350R is really a sports car completely. The car is noticeable with the magnetic suspension system, carbon fiber wheel rim and naturally aspirated V8 engine fora capacity of 526 horsepower, accompanied by a 6-speed manual gearbox, to help the car accelerate from 0 – 100 km/h in 4 seconds and reaches a maximum speed of 170 mph (273.6 km/h). 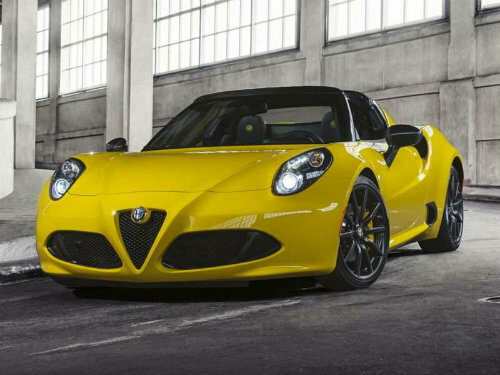 Alfa Romeo 4C Coupe is a sports car model with Italian brand extremely comfortable, starting price is also comfortable at $ 55,000. With a small,4-cylinder, supercharged, turbocharged engine, with a capacity of 237 horsepower, but thanks to the lightweight 4C Coupe carbon fiber structure, it can still accelerate from 0 – 100 km/h in 4 seconds and reaches a maximum speed of 160 mph (257.5 km/h). 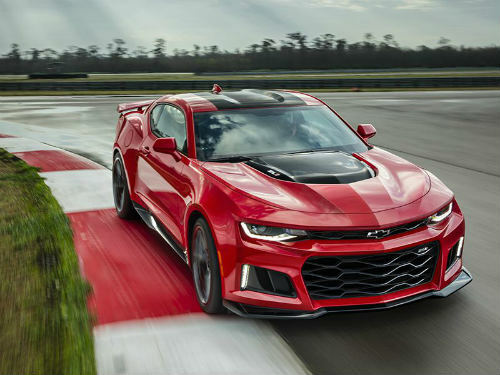 The recently launched Chevrolet Camaro ZL1 has been screened in the Camro family, thanks to the extra performance that makes the ZL1 an extremely interesting model. Power to the car comes from V8 supercharged engine, for a capacity of 650 horsepower, power transmission to the rear wheels through the optional automatic gearbox of 10 levels or 6-level floor type. Vehicles can accelerate from 0-100 km/h in just 3.5 seconds, and reach a maximum speed of 200 mph (321,869 km/h). 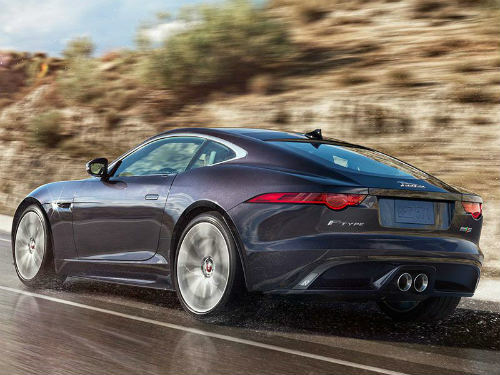 The Jaguar F-Type S impresses all the senses of the customer from the exterior to the smell of interior leather to the feeling of driving on the road through the steering wheel system to the sound emitted from the exhaust. The V6 supercharger V6 engine of 380 horsepower transmits to the rear wheels via 6-speed manual gearbox or 8-speed automatic transmission. In it, the automatic transmission helps the car accelerate faster, from 0 – 100 km / h in under 5seconds before reaching a maximum speed of 171 mph (275.2 km/h). Despite the more powerful V8 engine versions, the V6 engine offers an attractive sound andis easier to handle thanks to the weight reduction at the front. This entry was posted in Blogging and tagged Coupe, customers, sports cars, Vehicles by Virgil Cruz. Bookmark the permalink.